This Villa is a world on its own. It is not just a villa. 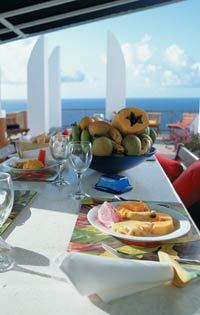 It is an exceptional holiday experience. If you are looking for a unique Villa holiday in the Caribbean that is rejuvenating, peaceful, privacy, romantic, sensual, fun and stylish, then Villa Being is the place for you. 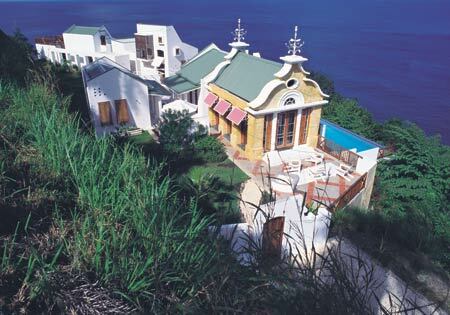 Located on top of a plateau, Villa Being is nestled in the lush Tobago flora, offering you a breathtaking 180-degree view of the Caribbean Sea. A secluded beach is just 10 minutes walk away. Ultimately private, Being can only be seen from the sea, accommodating up to six people in three luxurious ensuite bedrooms. 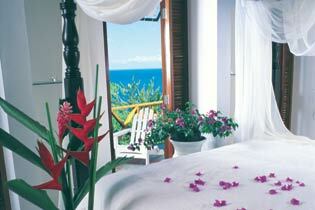 The largest room ‘Romantic,’ with a four-poster king size bed, ‘Blue’, with a queen sized bed and ‘Caribbean’, with twin beds. All rooms and bathrooms having a sea view. 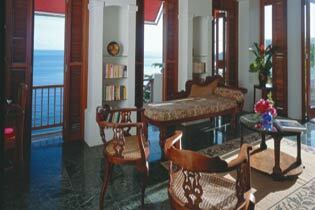 Being’s elegant and sophisticated décor includes more than 50 pieces of original Caribbean paintings and antiques. In the living room you will find satellite TV, CD players, internet access and fax. Other facilities include, pool lounge, bar and BBQ, three dining areas, covered and uncovered, a music center along with a great selection of novels and CD’s. The villa features a truly amazing 40-foot infinity pool where the pool seems to become one with the Caribbean Sea and Sky. More than a dozen courtyards and patios will never make you feel crowded. Please contact us for the rates for this villa.